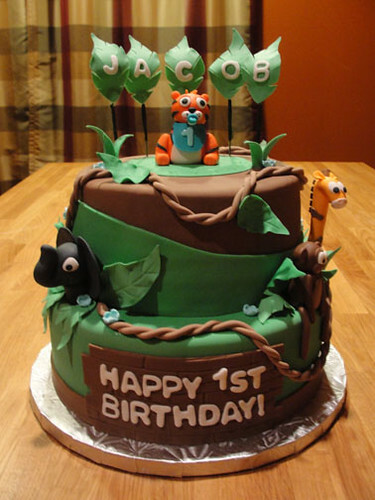 Jacob's First Birthday... A cute cake for the little tiger! 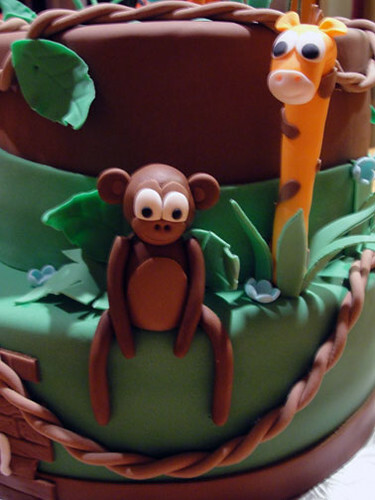 Jungle cakes have been a common theme for me, but this one was special. 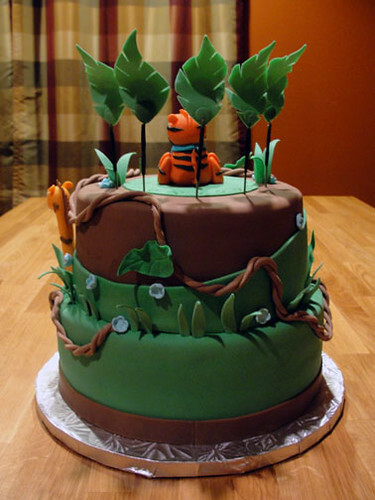 This one features a cute tiger named Jacob, and it was his 1st birthday! When Carol messaged me about making a cake for Jacob, she only had one request. 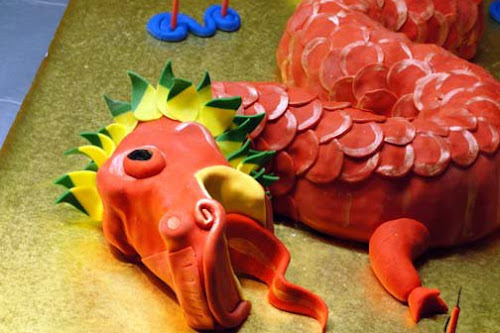 Jacob was born under the Chinese horoscope year of the tiger, and that set the tone for this cake. She wasn't sure if she wanted a stacked cake or if she wanted a small 3D cake in the shape of the a tiger. For the number of servings, I recommended a stacked construction, adorned with various baby animals and the very special tiger on top. I just love to make gumpaste animals. They are the cutest things as they come to life in my hands. The little guys were created one week ahead to allow for proper drying time ( and any falling limbs ). I then rolled out a thin sheet of green 50/50 mixture of fondant and gumpaste, and cut out leaves using a cutter. To give them a nice life like movement, a ball tool was used ruffle the edges on top of a thin foam pad. 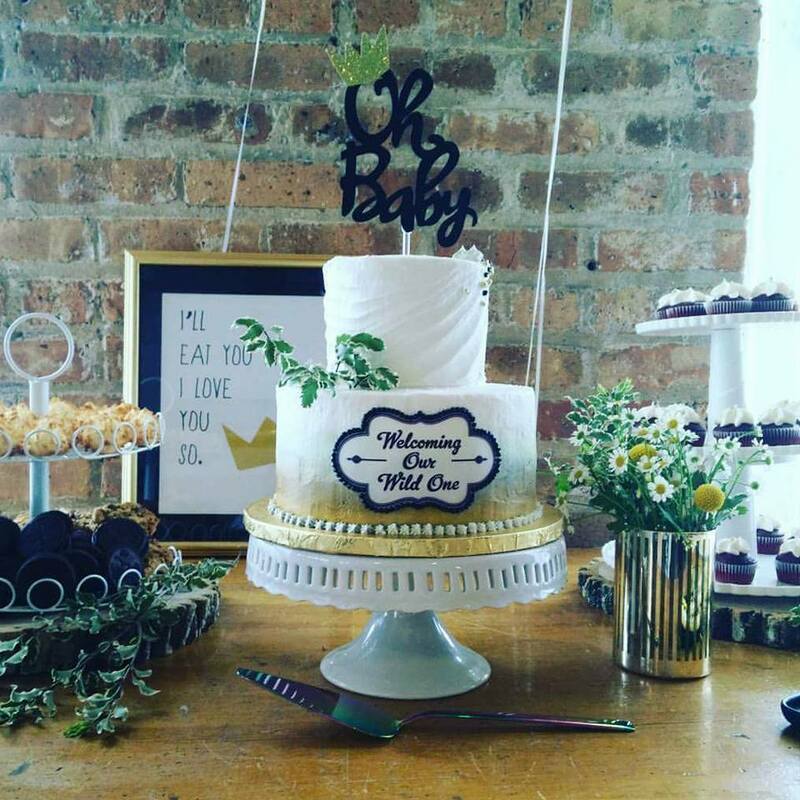 Larger leaves were created and placed on wires to adorn Jacob's name on top of the cake. The stacked cake started with two 10" layers of lemon cake sandwiched around alternating layers of raspberry puree and bavarian cream. The top level was two 8" layers of the same cake and yummy filling. The two were then crumb coated with buttercream, smoothing out any imperfections. The bottom layer received a blanket of green fondant and was smoothed to perfection. The top was covered in a chocolate fondant and trimmed in the matching green asymmetrically. This gives the appearance of rising grassland. The very bottom was trimmed in a thin ribbon of chocolate fondant. Using piping gel, I attached the animals in the appropriate positions and accented them with the jungle foliage. Using a wooden plank imprint, I created a message sign just for the birthday boy. This was affixed to the front of the cake with a little gum glue. 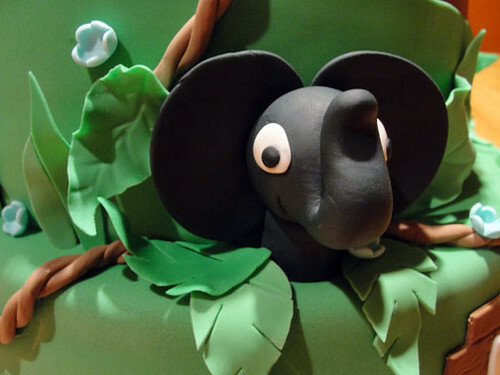 Winding vines and blades of grass gave this cake the final touches it needed. Happy birthday to the little tiger!